T H E S E R V I C E D E P T. RPM: Restoration. Preservation. Mentorship. FRIENDS TO AN END The original RPM kids, and the special teacher who put them on the path to success. each other to learn all they could. Thirty-year-old Engelhardt posted the quote shortly after he started at the school in 2009, hoping to inspire that exact work ethic. Back then the automotive program had just eight courses and a handful of students. Today, 360 students are enrolled in what has become a thriving 15-course curriculum, with classes on small-engine basics and advanced performance, engine rebuilding, car-care essentials, automotive engineering, service, diagnostics, programming, and fabrication. In short, he wants to prepare students for the full spectrum of automotive jobs. 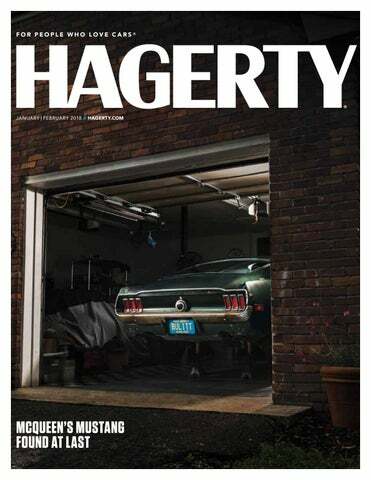 With 60 rebuilds under his belt, Engelhardt’s personal experiences easily carry over to his kids. His current students are building a 1929 Model A Tudor hot rod, as well as a Lamborghini Aventador go-kart with a twin-turbocharged 670-cc V-twin. Opposite: Michael Sagols (right) and Ross Bartolomei have readied themselves for their next automotive chapter, thanks to an excellent teacher in Jordan Engelhardt. RPM Foundation provides scholarships, formal training, and mentorship to the next generation of automotive and marine restorers and preservationists. Learn more at rpm.foundation. The RPM Foundation supports Restoration and Preservation training programs and Mentoring for the next generation of automotive, motorcycle and marine craftsmen. As the educational arm of America’s Automotive Trust, the services, resources and grants provided by RPM safeguard the future of the collector vehicle industry by sustaining hands-on training for young adults. The RPM Foundation is based in Chicago with offices in Tacoma, WA and Detroit, MI. Supporting the RPM Foundation – Thank You! Help us fuel the future and achieve our goal of raising $1,000,000 in 2018! With funding requests more than triple what we are able to giveaway, we need your support. Donations of any size are deeply appreciated. For more information, contact Diane Fitzgerald, President (diane@rpm.foundation, C: 312-543-5732 www.RPM.Foundation). 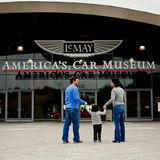 Donations of $50 or more receive a complimentary membership to LeMay – America’s Car Museum, an entity of America’s Automotive Trust. Please send your donation to: RPM Foundation, 2702 East D Street, Tacoma, WA 98421 Or you may make a donation online at: www.rpm.foundation As a U.S. Treasury approved 501(c)(3) charitable organization, the RPM Foundation is qualified to accept tax deductible gifts and enables a donor to arrange charitable contributions in ways that maximize personal objectives in a tax effective manner. The RPM Foundation is an entity of America's Automotive Trust.